On Saturday, October 29th the Hockomock Area YMCA invites the community to attend a performance that celebrates the past 10 years, in which a truly special youth theatre program has grown. The show will take place at 2:00 p.m. at the Guidrey Center at Dean College, 109 West Central Street, Franklin, MA. 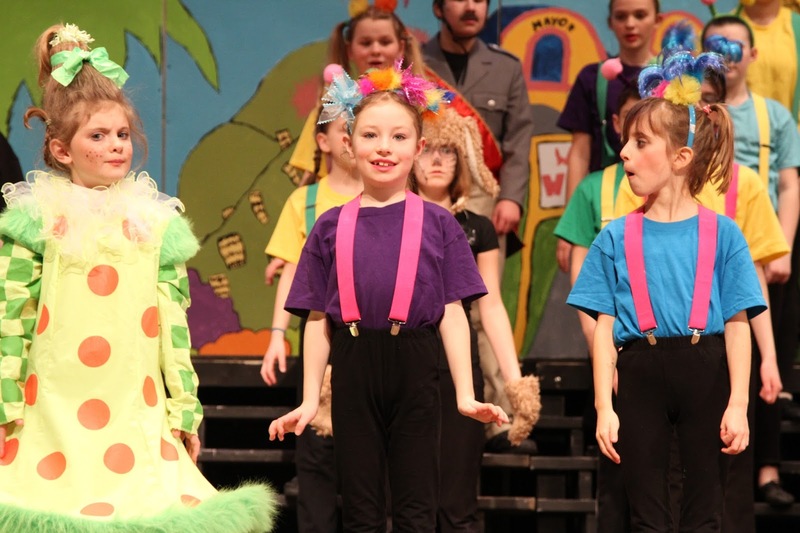 Since 2006, the Hockomock Area YMCA has produced over 55 musicals and 10 plays featuring full costume and professional sound/lights, and they have presented dozens of concerts, showcases and cabarets. Join us as past and present performers and original director, Andrea Champagne, return to the local stage. All ages will be tapping their toes and singing along as highlights from the past decade come alive on stage. “We are excited to reunite with some of the over 600 families that have been part of our theatre community,” says Heather Utsler-Smith, the current performing arts director at the Mansfield YMCA Arts & Education Center. A survey of alumni was used to help select numbers for the upcoming anniversary show, which will feature 20 songs, piano accompaniment, karaoke tracks, and high school and college students playing drums, guitar, and bass. The show will open with You’ve Never Had a Friend Like Me from Aladdin, the troupe’s first ever full production number. 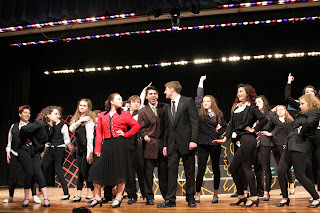 Other numbers include Consider Yourself (Oliver), songs from The Wizard of Oz, Sound of Music, and more. The Y’s Theatre Institute, added in 2013 to provide high quality theatrical education to high school students, will also be featured. The Institute prepares students for collegiate theatre programs and the foundational skills and experiences in the arts that they receive will be highlighted in songs from past shows including Little Women, The Wedding Singer, and The 25th Annual Putnam County Spelling Bee. The cost for tickets is $25 adults; $20 students; $10 youth ages 12 and under. To purchase advance tickets, visit hockymca.org/celebrate-theatre-10year. Tickets will also be available at the door on 10/29. The Y wishes to thank staff and former participants involved in the success of YMCA Theatre. Recognition will be given at the performance to Mansfield Bank, the Marilyn Rodman Theatre for Kids Program, and Dean College for their commitment to the program. Where Cause Meets Community. At the Hockomock Area YMCA, strengthening community is our cause. The Hockomock Area YMCA is an organization of men, women, and children sharing a commitment to nurture the potential of kids, promote healthy living, and foster a sense of social responsibility. Our YMCA is committed to partnering and collaborating with others to create and deliver lasting personal and social change in the 15 communities we are privileged to serve. The Hockomock Area YMCA is a not-for-profit charitable cause-driven organization with facilities in North Attleboro, Foxboro, Franklin, and Mansfield. For more information, visit hockymca.org. FPAC presents "The Odd Couple"
"This program is supported in part by a grant from the Franklin Cultural Council, a local agency which is supported by the Massachusetts Cultural Council, a state agency."